View Larger The GPAvatar web application produces a simple growth potential graph for most US zipcodes or for any location where the average monthly temperature is know. 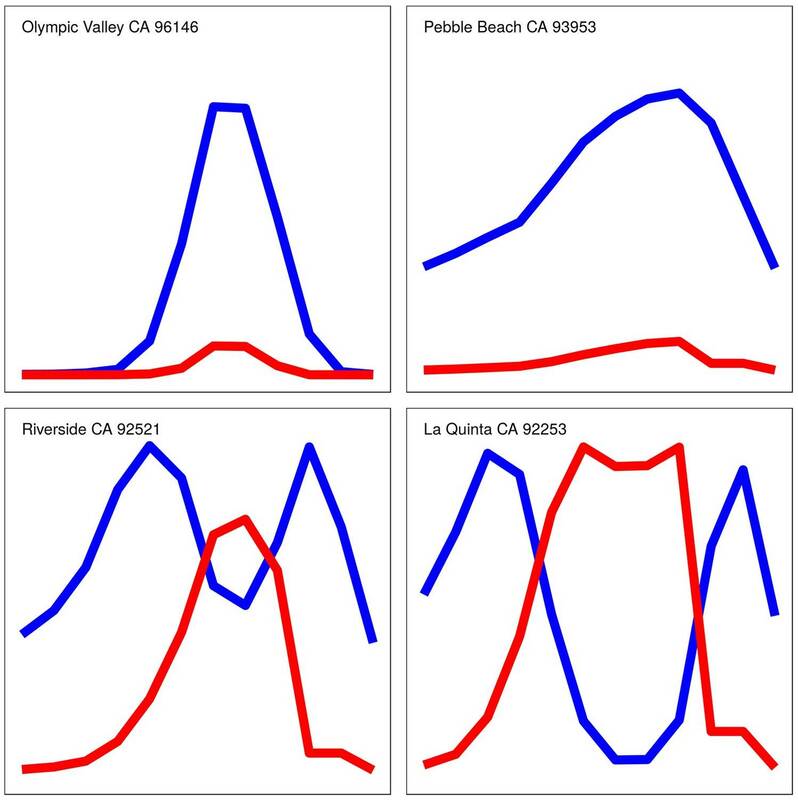 This set of graphs illustrate the wide range of climates in California. The GPAvatar graph can be used as a Twitter icon or included in other social media posts to allow others to see the expected growth of cool (C3) season and warm (C4) season grasses at your location. This simple tool will help turfgrass managers compare management practices and climates when discussing turf problems and practices.